The Ellen's Esplanade is the perfect day project or a great design to Sew & Sell or whip up and give as a gift! Featuring two handy exterior side slip pockets for phone and keys with the main compartment closing with a recessed zipper. Inside you will find a spacious interior which includes a zipper pocket. 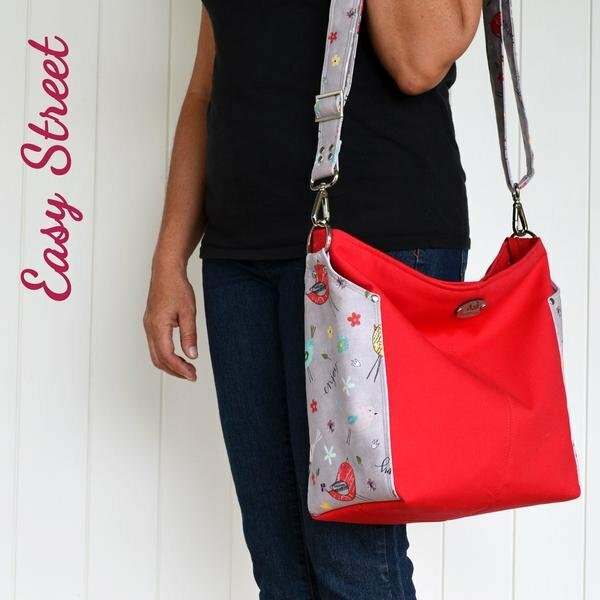 Make your bag from all fabrics or a combination of fabric and vinyl or pleather or cork.